There can truly never be too many monogram choices. 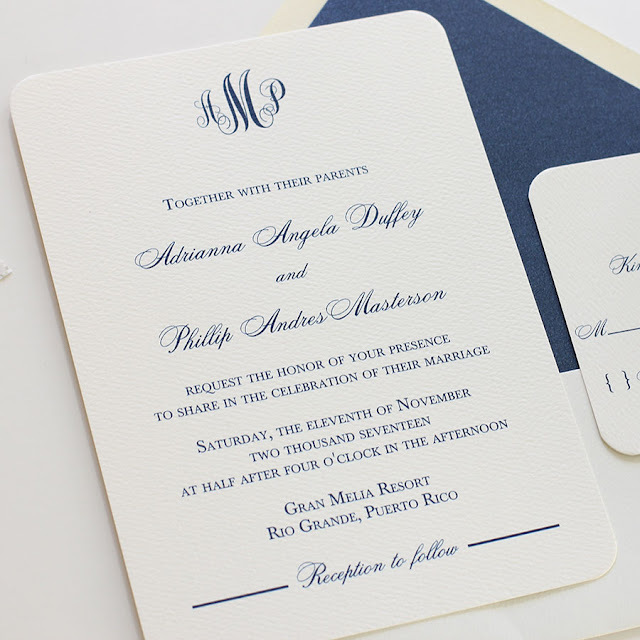 A monogram is the perfect motif to use throughout your wedding stationery. 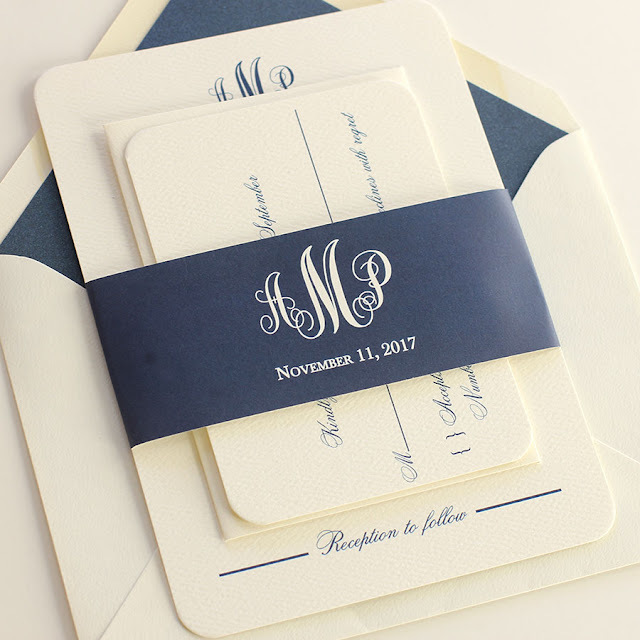 Starting of course with our elegant monogram wedding invitation design and continuing through all of your wedding branding. A monogram is the perfect detail to use for your branding because it is something you can add anywhere... to your cake, your cocktail napkins and thank you cards. 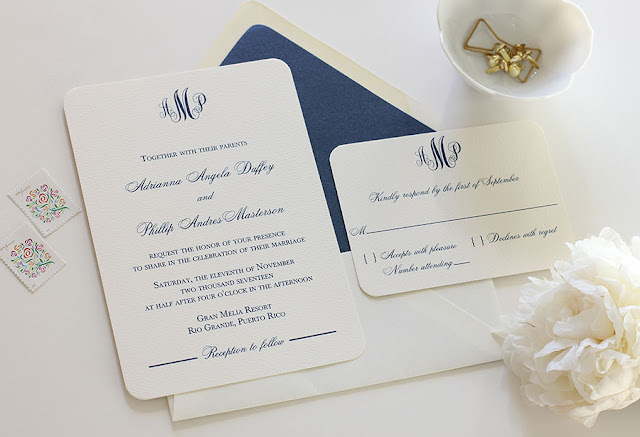 Our elegant monogram design shown here is printed in navy on our lux 110# ecru felt stock. All of our digitally (flat) printed suites come with a belly band also, perfecting the presentation of your wedding invitation to your guests.